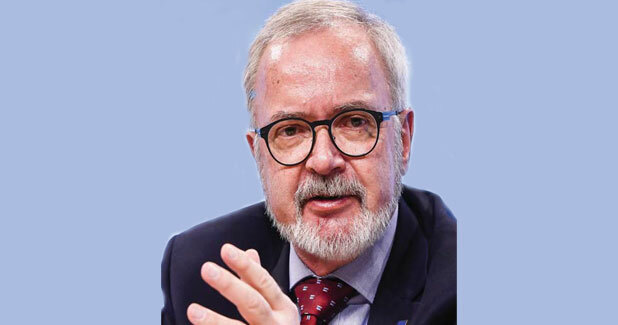 In an exclusive interaction with Power Today, Werner Hoyer, President, European Investment Bank (EIB) says the EU's non-profit long-term lending institution will continue to extend support to renewable energy projects in India. Hoyer was in the country in March to sign a new Ç150 million long-term loan with the Indian Renewable Energy Development Agency (IREDA). EIB expects over 1.1 million Indian households to benefit from clean energy produced by renewable schemes financed by this initiative. 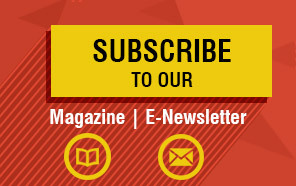 What segments within the renewable energy space are you looking at financing in India? European Investment Bank (EIB) is supporting a whole range of investments in the renewable and the energy efficiency sector: hydro, mini hydro, biomass, wind and solar. Wind and solar, for example, are the areas which are covered in the loan that we signed in New Delhi for EUR 150 million of new EIB financing to support renewable energy investment across the country as well as the previous loan signed in 2017 for EUR 200 million with the Indian Renewable Energy Development Agency (IREDA). Six months ago, the EIB confirmed EUR 800 million of new support for renewable investments here in India. That will include a substantial amount for solar, but not exclusively. What are your thoughts on International Solar Alliance (ISA)? I have found the International Solar Alliance (ISA) to be an excellent initiative from Prime Minister Modi and President Macron of France. As I told the opening plenary, we are dedicated to helping India realise its ambitious goals as far as renewables are concerned from both climatic and developmental perspectives. Given India's solar capacity projections, combined with clear transmission and distribution policies to support the continued expansion of solar energy in the country, it's an initiative we support wholeheartedly. In the coming months, we expect to confirm significant new financing for renewable energy projects in India. What is the quantum of loan you are looking at extending to small- and large-scale energy projects? Last year, the EIB confirmed EUR 800 million of new support for renewable energy projects in India -for large- and small-scale projects. This is the largest- ever investment for clean energy projects that the EIB has made in Asia. However, we do not normally finance more than 50 per cent of a project. The value of our involvement also comes from our ability to crowd in the private sector support for a project. We can't rely on public finance institutions to provide the levels of funds that are going to be needed. When it comes to solar, the EIB is financing projects that are pushing research and development on solar energy in the whole range from big concentrated solar plants to off-grid schemes and domestic solar affordable devices. Also, how do you propose to assess the seriousness of the beneficiaries? As far as gauging the seriousness of a beneficiary is concerned, the EIB operates with high standards. Any potential project and beneficiary has to comply with stringent criteria in order to be declared eligible for financing. We are talking about meeting environmental and social standards as well as demonstrating that a project is viable both technically and economically. And, of course, it is this rigorous approach that has earned us our triple AAA rating in money markets, which in turn can make these climate action projects - even the smaller ones in remote areas with a high community impact- attractive to potential private investors. This is what we call the crowding in effect of the bank. What kind of investment are you mulling in the country's wind energy sector amid talks of its recovery? Our investment in renewables already covers wind energy, and we plan on doing more in this area provided that is what the Indian authorities and promoters also want. There is no doubt that energy from wind is an important part of the renewable energy mix. For example, with the first financing operation with IREDA, we have already approved 200 MW worth of onshore wind in Telangana and Andhra Pradesh. Would you be interested in getting into charging infrastructure for electric vehicles (EVs)? If yes, how? We will certainly look at it, if asked. It's a very interesting initiative and we are open to it. In Europe, we are already helping to invest in this technology. Climate action to confront global warming forms the core of EIB's mission, and development of sustainable transport modes and fuels in any form is clearly part of this. A substantial part of financing provided by the EIB in India is to support climate action projects. In practice, that has been for renewables, clean affordable energy and clean sustainable transport. We provided financing for the metro in Lucknow and also in Bangalore and are currently looking at metro projects in a number of other cities in India. How else do you propose to take your mission of propagating increased deployment of clean energy? That's an important question. As mentioned, EIB's high standing in money markets and the reputation of its engineers mean it can mobilise and trigger other financing for a project. The EIB is not only a lender but also an advisory. Ensuring the right capacity to get a project off the ground is as important as financing; sometimes even more. That technical advice and capacity building is something which the EIB bank can offer which is crucial in the context of new technologies, say for renewables. The EIB which is active in more than 160 countries can help to facilitate the transfer of technology, which I know is one of the aims of the new ISA where we were the first of the multilateral development banks to declare our partnership last year. 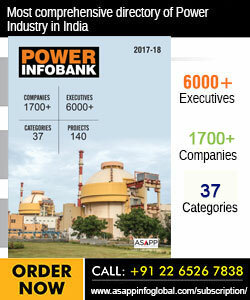 We plan on doing more in renewable provided that is what the Indian authorities and promoters also want.